Belonging to the tarantula family, it is considered to be the second largest spider in the world by leg-span and possibly the largest by mass. It is native to the rain forest regions of northern South America. Females have an average life span of 15 to 25 years while Males have a lifespan of 3 to 6 years. These spiders can have a leg span of up to 28 cm (11 in) and can weigh over 170 g (6.0 oz). The venom of the Goliath birdeater is relatively harmless and its effects are comparable to those of a wasp’s sting. Despite its name, the Goliath birdeater does not normally eat birds. Its diet consists of insects, rodents, and frogs. However, it has been seen feeding on lizards, bats, and even venomous snakes. Also known as Spiny-backed orb-weavers, the orb-weaver is a genus of around 70 species of spiders known for their visible spines. These spiders can reach sizes of up to 30mm in diameter. They are found all around the world and are completely harmless to humans despite their frightening appearance. The world’s largest spider by leg-span with a 30 centimeter (12 inch) leg-span (!! ), and 4.6 centimeter (1.8 inches) body-length. The huntsman appears to be a cave dweller and was discovered in Laos in 2001. It is part of the Heteropoda genus. Widow spiders are a genus which contains 32 recognized species. The name Black Widow is derived from the behavior in which the female sometimes eats the male after mating. The black widow spider is the most famous member of the genus. Its bite is very dangerous for humans, but death is rare if proper medical treatment is provided. Also known as banana spiders, this is a genus of aggressive and venomous spiders. It is found in tropical South America, and one species in Central America. The Brazilian wandering spider is the world’s most venomous spider according to Guinness World Records. Almost half of all spider-related hospitalizations in South America are caused by this aggressive spider. Also known as Cartwheeling spider or Golden Wheel spider, this spider is native to the Namibian desert in South Africa. The spider escapes attackers by flipping onto its side and cartwheeling down sand dunes at speeds of up to 44 turns per second, or one meter per second. Wheel spiders are harmless to humans. This is actually an entire order of animals. But they are known as Camel spiders or Sun spiders. This spider is the fastest in the world with a whopping speed of 10-12 mph. A tarantula species native to East Africa. It can grow up to 20 cm in leg span. 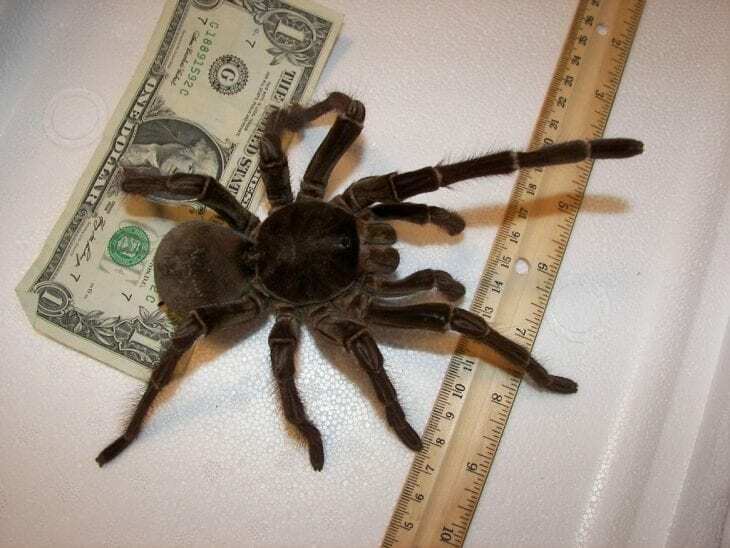 It is popular among tarantula collectors but is highly aggressive and not suitable for beginners. They also have very strong venom: a bite from a baby can cause sharp pain and strong hallucinations and the place of the bite remained itchy for five days. These spiders are robust and agile hunters with great eyesight. They live alone and hunt alone – hence their name, and they rely on camouflage for protection. There are over than 2,000 species of Wolf spiders. This family of spiders contains about 5,000 species which makes it the largest family of spiders with about 13% of all spider species.Most of those species are capable of very agile jumps in both hunting and avoiding threats. Jumping spiders are generally recognized by their eye pattern, all the jumping spider species have four pairs of eyes with one pair being their particularly large.